Nowadays, Bangkok is one of the shopping paradises in Asian region. 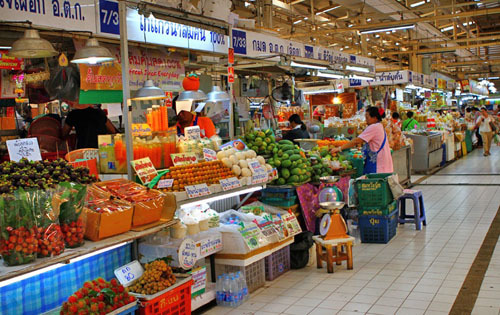 Shopping stores in Thailand make visitors interested not only of their variety but also of the professional services. Markets are not only the trading centers for locals, meanwhile they can also be excellent places for the curious travelers who want to discover more local customs and buy some special traditional souvenirs that cannot be found in other traveling sites. Let the Indochina Voyages Team lists you with the most famous 8 malls in this beautiful city. Since the opening day at the end of 2005, Siam Paragon is Bangkok’s pride as it is the largest mall (80.000m2), and has the largest shopping mall compartment (2.000m2). Situated on Sukhumvit near Siam BTS Skytrain square, Siam and other famous stands Siam Discuvery, Siam Paragon purchases the most luxurious brands like Chanel, Dolce & Gabbana, Escada, Gucci, and Versace. etc. MBK Center is a big 8-floor building, and regarded as the largest shopping mall in Asia. There are more than 2000 stores and services, including 150 dining places and large cinemas. People rather here more often than other sites because of the variety of products sold here, form cheap to expensive. 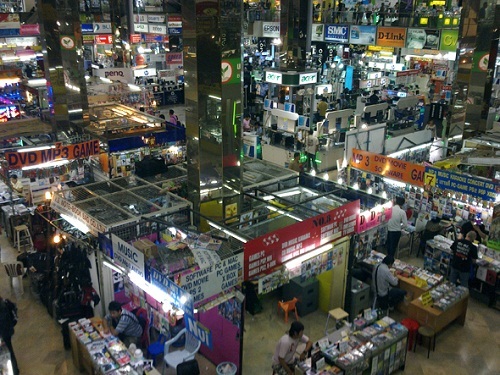 You can bargain to get what you want here: clothes, leather, jewelry, electronic stuff, IT, theatres, karaoke, games etc. and a 4-floor department store. If you are a shopaholic, you should go here. 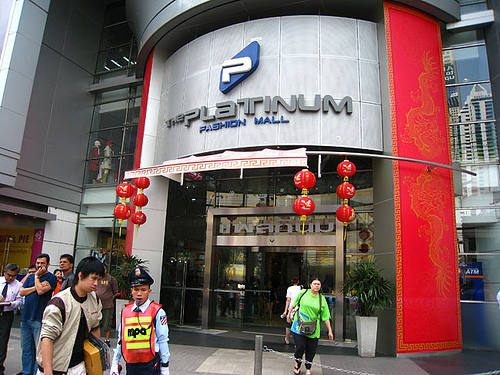 As a new mall, Platinum offers customers fashion trend with many options, varied from prices, etc., if you buy three items, you will get a discount. Normally products are 30$ cheaper than outdoor stores. This is a complex mall with many floors and sells everything related to IT. Here you can find the latest software, Bluetooth earphones, etc. also you can shop cameras, videos, laptops, etc. 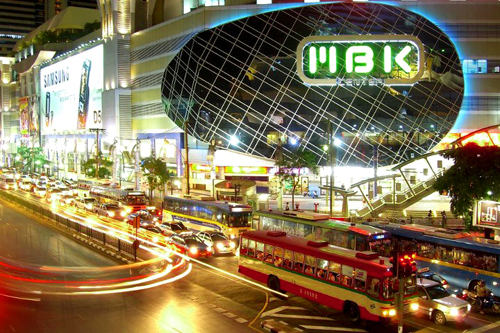 Being known as the largest mall in Bangkok, this center is a combination of stores, department and shopping centers. 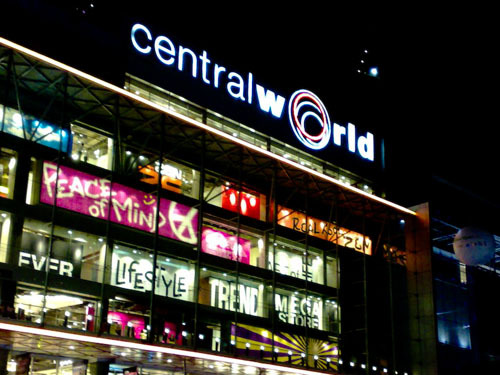 Central World has places for you to relax, to enjoy and have such great time. From outside, it looks like a giant rectangle building and very eye-catching. At nights, people gather here to have drinks with friends in crowded bars, and enjoy wonderful atmosphere as well. Chatuchak in Thai means “market opens at the weekend”. As the largest market in the world with 1,13 km² large and can harbor 15.000 stores, welcoming 2000.000 – 3000.000 visitors daily. Here you can buy everything you want but people usually buy clothes because there are sales annually to attract customers. Also you can feel free to bargain, the owners are still friendly if you don’t buy anything form their stores. 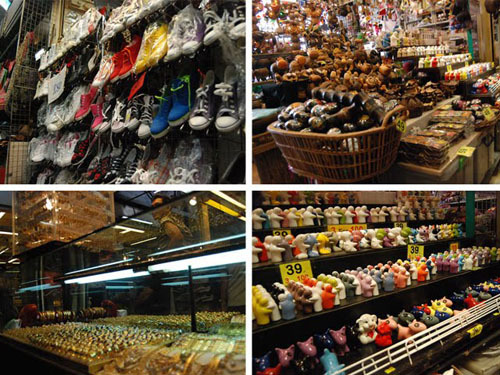 Situated near the famous Chatuchak, Or Tor Kor is where dealers export and import vegetables, specialties in Thailand. If you go to Or Tor Kor, you can taste fish products and street vendor food as well. Normally people will buy at Or Tor Kor traditional Thai food additives. Or Tor Kor is selected as one of 10 best markets in the world, according to CNN.